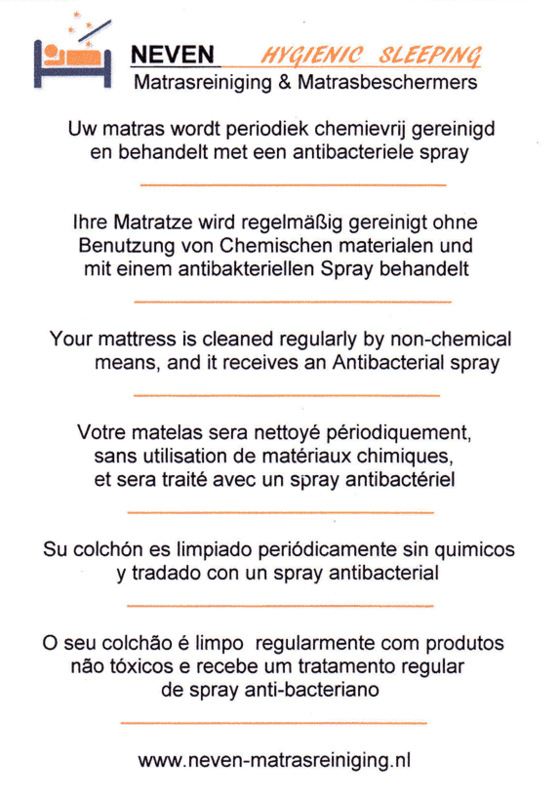 Neven Mattress Cleaning is an official dealer of the Potema Firm in Munich, Germany. Potema is the world leader in the field of mattress hygiene. In 2006 Potema cleaning system was recommended by ECARF (European Centre for Allergy Research Foundation) of Berlin University as the most allergy-friendly product. Mattresses cannot be cleaned in normal domestic cleaning and from the ideal habitat for house dust mites. Each mattress hosts 2 million dust mites, hundreds of grams of scale, dust, bacteria, mould, viruses and spores. The amount of excrement produced by the dust mite, which contains the allergen substance guanine, is extremely high and all this accumulates inside the mattress .Another problem is different guests sleeping in the same bed. The only solution is having the mattress cleaned internally so that all foreign bodies are removed and killed, particularly scales, bacteria and dust mite excrements. The cleaning process is free of chemicals. 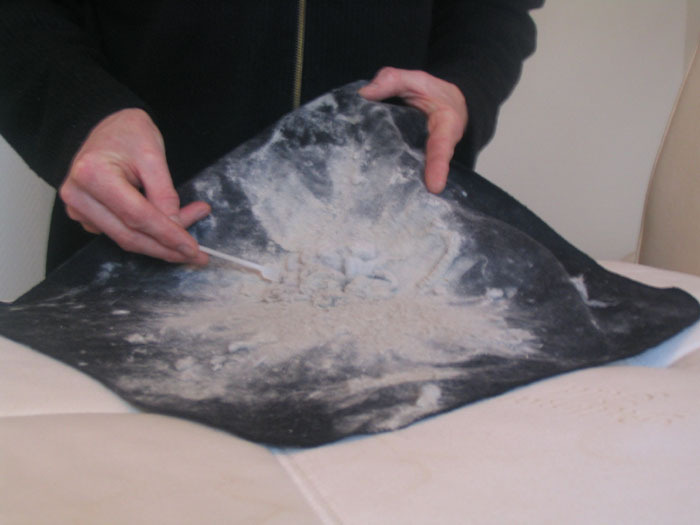 We will demonstrate the amount of pollution extracted from the mattress as part of a cleaning trial. We will visit your Hotel or B&B. The mattress remains on the bed and the cleaning machine is placed on the mattress. The mattress is cleaned internally from both sides. Afterwards, the mattress is treated with an anti-bacterial spray. The pillows and the box spring (if there is one) are also included in the cleaning process. 10 minutes after cleaning procedure is completed, the bed can be made again, since it concerns a dry-cleaning process. - for cleaning more mattresses, we have special price offers. please contact us. - box springs and pillows are also cleaned and are included in the price. - travel costs are no more than € 19,00. Every year in the spring ( before Eastern) we are in France, Spain and Portugal for cleaning mattresses by Hotels ans B&B. If you want to have your mattresses cleaned, or simply want more information, please feel free to contact us. Remember that you have the option of a trial first, so that you can see what is removed from the mattress. Ask for our ideal Mattress protector for a stainless mattress and the best sleeping experience for your guests!